I have been studying neuroanatomy for the past 37 years. When I started out there was no Powerpoint. All of the presentations and lectures were projections of actual sectioned or stained specimens, photographs, or combinations of images from journal articles. The lecture notes were generally a patchwork of similar figures. The texts were a self study manual by Sidman and Sidman (2) and Carpenter's Human Neuroanatomy (1). My original neuroanatomy course focused primarily on functional neuroanatomy that focused on clinical syndromes that had to do with identifying cranial nerve, midbrain, and hindbrain lesions and the general organization of the central and peripheral nervous systems. Some systems were discussed. Papez version of the limbic circuit for example but there was very little aphasiology or behavioral neurology. There was very little cortical localization for that matter. Mt speculation is that the neuroanatomists of the time thought that most medical students would pick it up in clinical neurology. In terms of motor function, there was an emphasis on the dorsal striatum and a discussion of the usual clinicopathological correlates - Wilson's Disease, Huntington's Disease and Parkinson's Disease. There was not discussion of the broad array of movement disorders. Those early days of neuroanatomy were far from perfect. There was no focus on the ventral striatum. despite the fact that Olds had discovered the median forebrain bundle and the reward system about 20 years earlier. Diagrams about mesolimbic dopaminergic systems, even in pharmaceutical company literature were labelled according to conventions established in laboratory rats rather than the human brain. There were a lot of deficiencies for anyone who learned neuroanatomy in the last two decades of the 20th century. That is at least as far as I can tell. I routinely teach a course on the neurobiology of addiction to physicians and residents where I usually say something like: "When I was in medical school most of the focus was on the dorsal striatum and the disease correlates. Now we know that there is a ventral striatum that hang off the anterior and inferior aspect of the dorsal striatum. I assume that you all have learned about these structures?" That is generally followed by dead silence. I am still uncertain about what that silence means. You can't really study neuroscience as it relates to psychiatry without knowing a great deal of neuroanatomy. Finding the right sources is critical. There was a progression of neuroanatomy texts for medical school but in my opinion none of them is better than Hal Blumenfled's text (3). His text has excellent graphics that are organized to illustrate concepts. The best example I can think of is Figure 14.10 in this text entitled Dopaminergic Projection Systems. The diagram illustrates the striatum (dorsal striatum), limbic system, and prefrontal cortex and their connections to the midbrain structures via the mesolimbic, mesostriatal and mesocortical pathways. The origins of these pathways in the substantia nigra pars compacta, ventral tegmental area, and ventral tegmental area plus ventral tegmental area are illustrated in the same diagram. It is one of the best conceptual diagrams I have seen in the field. When it comes to illustrations of the ventral striatum and nucleus accumbens the text depends on a photograph of a coronal section (fig. 18.4) through the nucleus accumbens very similar to the one illustrated below from the University of Michigan. ".....The ventral region, which has been included in the term, the "substantia innominata," has now been histochemically identified as the ventral extension of the striatum. In addition, the olfactory tubercle and the rostrolateral portion of the anterior perforated space adjacent to the lateral olfactory tract in primates are also included in the ventral striatum (Heimer, et al., 1999). The remainder of the anterior perforated space appears to be a mixed area with elements of the putamen, extended amydala, the corticopetal cell complex, and the ventral extension of the pallidum." There have been some major developments along the way such as Heimer's formulation of the extended amygdala (8). His work was based on an advancement in technology that allowed for clearer visualization of the connections between the basal forebrain and the amygdala (9). Enter the Allen Brain Atlas. 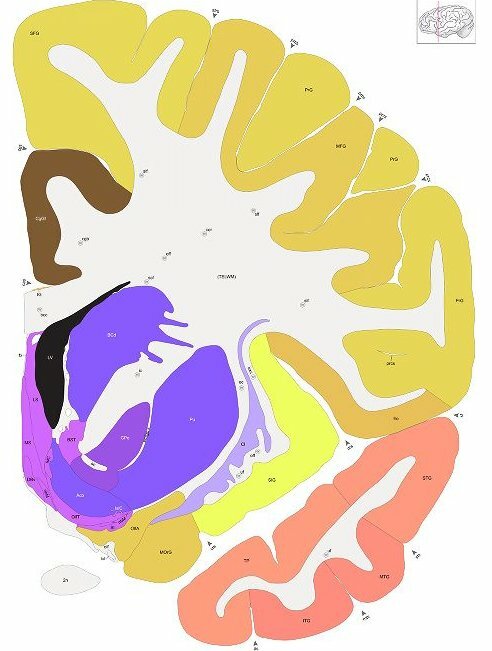 I have my favorite coronal section displayed at the top of this page per the Allen Brain Atlas terms of non-commercial use. It is section 21 of 106 (numbered from the frontal pole). I encourage anyone with an interest in human brain anatomy to go to the web site and look at coronal sections of the human brain. Every coronal section has a smaller image of the location of the section on a lateral view of the brain. The image here is a standard image file (.jpg) and does not have the functionality of the web site. As an example, on the web site there is a rollover feature that tells the exact structure under the cursor. This is a very useful feature when studying the basal forebrain area and relationships between the nucleus accumbens, amygdala, and hypothalamus. The only other text that I have found to be very useful in the clinical applications of neuroanatomy is Scott Atlas text on the MRI of the brain and spine (10). The graphics on the accompanying CD are excellent and very useful as orientation to MRI scanning. One of the problems with expensive texts is that they are not very useful or practical for teaching purposes. I have tried to get permission from several texts to use the occasional graphic on this blog or for teaching purposes only to be confronted with very steep fees. By steep, I mean on the order of a thousand dollars per graphic. I consider that to be outrageous based in some cases on the publication date and the use for noncommercial not-for-profit teaching purposes. In the case of reasonable fees, the licensing arrangement seems impractical. As an example, I had a licensing arrangement at a reasonable rate but it involved me counting the number of PowerPoint slides for the number of students and submitting that fee on a regular basis. I have no doubt that many lecturers are more organized than I am, but at 15-20 neuroanatomy based lectures per year to groups of various sizes I eventually gave it up and used publicly available material. The good news for psychiatrists is that neuroanatomy has never been more relevant. It has become a clear basis for addiction psychiatry and neuropsychiatry. The amount of material that is openly accessed for teaching purposes has never been better. In clinical work, one of the few good features of the electronic health record (EHR) has been access to imaging in the digital format. I used to have to go down to Radiology and trace abnormal images on note cards and occasionally reproduce them in the handwritten record. In many systems it is possible to cut and paste the image of interest into EHR progress notes. 1: Carpenter, Malcolm B. Human Neuroanatomy. 7th ed. Baltimore, MD: The Williams & Wilkins Company, 1976. 2: Sidman RL, Sidman M. Neuroanatomy A Programmed Text: 1st ed. Baltimore, Maryland: Lippincott, Williams, and Wilkins, 1965. 3: Blumenfeld, Hal. Neuroanatomy Through Clinical Cases: 1st ed. Sunderland, MA: Sinauer Associates, 2002: p 595. 4: Paxinos G, Mai JK, eds. The Human Nervous System: 2nd ed. San Diego, California: Elsevier Academic Press, 2004. 5: Mai JK, Assheuer J, Paxinos G. Atlas of the Human Brain: 2nd ed. Amsterdam, Netherlands: Elsevier Academic Press, 2004. 6: Mai JK, Paxinos G, Voxx T. Atlas of the Human Brain: 3rd ed. Elsevier Science, 2007. This text is listed as the source material for http://teaching.thehumanbrain.info/ an open access neuroanatomy site that uses photographs from the book and other materials and is licensed for non-commercial use and teaching purposes by a Creative Commons 3.0 license - Attribution Non-Commerical - No Derivatives 3.0 Germany. 7: Haber SN, Gdowski MJ. The basal ganglia. In: Paxinos G, Mai JK, eds. The Human Nervous System: 2nd ed. San Diego, California: Elsevier Academic Press, 2004: 676-738. 8: Heimer L. A new anatomical framework for neuropsychiatric disorders and drug abuse. Am J Psychiatry. 2003 Oct;160(10):1726-39. Review. Erratum in: Am J Psychiatry. 2003 Dec;160(12):2258. PubMed PMID: 14514480. 9: Elias WJ, Ray DK, Jane JA. Lennart Heimer: concepts of the ventral striatum and extended amygdala. Neurosurg Focus. 2008;25(1):E8. doi: 10.3171/FOC/2008/25/7/E8. PubMed PMID: 18590385. 10: Atlas SW, ed. Magnetic Resonance Imaging of the Brain and Spine. 3rd ed. Philadelphia, Pennsylvania: Lippincott Williams, and Wilkins, 2002. 1. To avoid creating dependence by introducing drugs to patients without sufficient reason (2). 2. To see that that the patient does not gradually increase the dose of the drug, given for good medical reasons, to the point where dependence becomes more likely (2). 3. To avoid being used as an unwitting source of supply for addicts and being vigilant to methods for obtaining medicines (2). I was asked to write a piece about benzodiazepines last week. In the process, I went to look at guidelines in the UK, specifically the NICE guidelines. In the process, I ended up getting a copy of the British National Formulary because it had some commentary on prescribing addictive drugs. The section starts with three paragraphs that start with the above sentences. I don't know how long these sentences have been included in this book but I took a few moments to ponder whether anything like this is written in papers or texts that American physicians read. Americans may go about the prescription of addictive drugs in an entirely different manner. Medical training in the US often matches trainees with a lot pf people on complicated polypharmacy for a lot of different conditions. In a typical resident's clinic there will be people taking benzodiazepines, sleep medications, antidepressants, and in some cases pain medications including opioids. There people generally expect to see a resident and get these prescriptions refilled. In supervising residents, they generally have the same questions about this process from 30 years ago: "Wouldn't it be a good idea to see if we can get people off these medications?" The only difference in my approach from that of my supervisors was to suggest an informed consent approach. In other words, advise the patient about current guidelines that suggest time-limited use and open up a potential dialogue about how to taper and discontinue a drug. Even that position can be controversial. There are three main attitudes that I have encountered in that area. The first is: "Maybe the patient needs it." In the case of benzodiazepine maintenance, there is really no research guidance at all in this area - there rarely is for chronic medication use. The underlying assumption is that here is the rare person that needs maintenance use of this medication - typically a benzodiazepine or sedative hypnotic. The second attitude is "As physicians we need to be able to help the patient and that is my orientation when prescribing these drugs." The underlying assumption here is that this medicine is the only possible way to help the patient. There is a more insidious underlying assumption that if you don't want to prescribe this addictive drug that maybe you as a physician don't want to help as much as the physician who does. The other obvious limitation that if the patient believes the only way he or she can be helped is with a specific medication that will define what the physician does in this case. A third attitude is more nihilistic and that is the patient has been on this medicine for years and seen new residents every one of those years. What are the odds that they want to change it? There may be a rational basis for the nihilism. People are generally very resistant to tapering and discontinuing an addictive drug even if there is no indication that it is doing anything for them. In my days in resident clinic many people were taking triazolam at two and three times the maximum recommended dose for sleep. They still complained of insomnia - often to the same degree before they started using this medication. Any attempts to taper them off were fraught with problems. It was often possible to get them down to maximum recommended dose only to find that they went back to the higher dose after a new resident came into the clinic. The three lines from the BNF assume that the physician being advised is going to prescribe the addictive drug initially rather than maintain it. That is a lesson that should not be lost on residents in these clinics or attending physicians in the field. Every physician prescribing addictive drugs needs to have a plan in their head that incorporates the BNF guidelines. There is plenty of evidence that is not the case. Wide variability of prescribing patterns by physicians in the same setting provides a good illustration. In a recent study (1) the range of opioid prescriptions across physicians varied from about 7 to 25% of emergency department visits with the odds of long term use correlating directly with the quartiles based on those frequencies. There is another implicit dimension to the BNF guidelines and that has to do with neutrality. There is generally far too much heat around the issue of addictive drugs in American training and practice. That ranges all the way from the physicians just being uncomfortable with prescribing the drugs and transmitting that emotion to the patient to overt threats by the patient in order to get the drugs. In the case of the former, I have had people who were both reliable and unreliable tell me that they felt they were being treated like a drug addict. In the case of the latter, physicians (including myself) have been threatened with physical attack or blame for a patient's demise (suicide or accident due to recklessness) if they do not supply the desired addictive drug in the right dose and quantities. There are the "dog ate my alprazolam calls" to on-call physicians who typically are not seeing the caller as a patient. All of these factors often lead to a contentious relationship between physicians in training and attending physicians and the people on addictive medications. As these few pages in the BNF point out - that emotional intensity is really unnecessary. I have found that to be a mistake in the training of American physicians. We learn how to prescribe addictive drugs and come to dealing with the problem of addiction much later. The most important aspect of those prescriptions is the personal relationship and emotional reaction to the patient. Some physicians never really learn to deal with it. We could learn a lot earlier by the basic focus that is in the BNF. 1: Barnett ML, Olenski AR, Jena AB. Opioid-Prescribing Patterns of Emergency Physicians and Risk of Long-Term Use. N Engl J Med. 2017 Feb 16;376(7):663-673. doi: 10.1056/NEJMsa1610524. PubMed PMID: 28199807. 2: British National Formulary. Published Jointly by the Pharmaceutical Press; Division of the Royal Pharmaceutical Society; 66-68 East Smithfield, London E1W 1AW, UK and BMJ Group; Tavistock Square, London, WC1H 9JK, UK; 2016: p. 9. The cover of the BNF is the cover of my copy that I purchased from Amazon. I consider the three lines that are quoted and referenced to this book to be fair use for scientific discussion on a non-commercial and not-for-profit blog. I have no personal or business connection with the BNF. Any references to it here are just for the scientific discussion of its content and potential importance in medical training. That's right - I am an insider in the current opioid epidemic. I only treat people with addictions. I am licensed to prescribe buprenorphine and have been for 10 years, but in my current position my role is to do independent psychiatric assessments and treat associated psychiatric comorbidity. Opioid detox is done by addictionologists and the maintenance decision is made by a multidisciplinary committee. In that capacity I see a wide variety of people who end up addicted to opioids and eligible for opioid maintenance treatment. I see them in various stages of detoxification/withdrawal and maintenance. I know what works and what does not work. Forget what you read about from all of the politicians and administrators - buprenorphine containing products (Suboxone, Subutex, etc) are not a panacea for opioid addiction. It takes more than a pill to stop an addiction to opioids and more importantly assist in long term recovery. Forget what you hear about how cravings to use a substance not predicting future use. I can predict who will be able to remain abstinent from a drug with a high degree of certainty. Anybody who suggests that is not possible does not know what they are talking about. What follows is a discussion of some of the factors that limit the utility of buprenorphine based products in the treatment of opioid addiction and the reasons for these limitations. Before getting into it it I want to clarify that I do support the use of buprenorphine for the treatment of opioid addiction. People on medication assisted treatment with buprenorphine are about twice as likely to remain off opioids as people without this treatment. They are more likely to remain in treatment and are less likely to develop Hepatitis C seroconversion. But there are a lot of factors that are not discussed along the way when politicians talk about widespread use of buprenorphine as the best way to address the current opioid epidemic. I had thought about including a comprehensive table on results to look at the limitations but decided against it - due to complexity. If you would like to see what that table looks like - let me know and I will finish it. For now here are a few of the issues as I see it. 1. Indefinite maintenance: Nobody wants to be on indefinite maintenance medication - even people with known chronic medical conditions like hypertension and asthma much less opioid addiction. The first consideration is that the person with an opioid addiction needs to view it as a chronic medical problem and most addicts do not. That is especially true for addicts in their 20s who may have started using as early as their teenage years. Their general attitude is that they will quit some day, but not before they have acquired enough time getting high. That is nothing particularly unique in terms of the rationalizations that accompany addictions, but at this point in time mapped onto this demographic it may be a unique problem. It certainly is not conducive to realizing the need to take a maintenance medication every day. It is common in clinical practice to see a number of patients who stay on buprenorphine for a few months at a time and "go back to using heroin for a while." The attitude about prescribing buprenorphine seems to be just to keep prescribing it and at some point a stable maintenance situation will result. I don't think there is any evidence that will happen. Since opioid addiction is generally a chronic condition going on and off maintenance would seem to be more likely than indefinite maintenance. There is confusion among some prescribing physicians whether or not repeated relapses is a relative contraindication to future opioid buprenorphine use or it it means referral to a methadone maintenance clinic. The real life problem is the patient who cannot tolerate withdrawal symptoms, may have a history of buprenorphine diversion, and has no easy access to a methadone program. 2. Buprenorphine has definite street value: Every opioid user knows this to be true. Buprenorphine can generally be sold and the proceeds will result in being able to purchase 3 - 4 times the equivalent amount of heroin. The other option is just to resume heroin and use the buprenorphine to cover heroin withdrawal when the drug is in short supply or there are not any reliable street sources. As previously indicated this sort of diversion is a contraindication if the patient is using it as a consistent way to cover withdrawal from other opioids or to acquire other opioids. The original buprenorphine/naloxone combination preparation was designed to prevent intravenous use of the crushed buprenorphine tablets. Since then, there has been some evidence that the naloxone component also reduces the euphorigenic component from buprenorphine and makes increased self administration less likely (1). Patients maintained on low dose buprenorphine alone report positive subjective ratings with both additional intravenous and intranasal buprenorphine indicating potential abuse liability (2). The combination buprenorphine/naloxone occurred after a number of overdoses in Europe and it confers decreased intravenous abuse liability, but it does not eliminate it (3). In an earlier high dose study of intravenous and sublingual buprenorphine doses up to 16 mg in experienced opioid users produced consistently positive but variable mood effects. In morphine maintained heroin users intravenous buprenorphine was the only opioid not administered at levels greater than placebo compared with intravenous fentanyl, oxycodone, or heroin (4). That is an expected effect due to the partial antagonist effect of buprenorphine. The authors comment that in research setting buprenorphine inconsistently precipitates withdrawal in opioid dependent subject in research settings. For example moderate to severe withdrawal occurs in subjects taking 60 mg/day of methadone but no to mild withdrawal (from 2 and 8 mg buprenorphine doses) in subjects taking 25-30 mg/day of methadone. Other studies looking at rapid dose induction in heroin dependent men resulted positive ratings and experiencing the buprenorphine as an opioid agonist rather than an antagonist. This same variability is noted clinical, largely by patient history and there seem to be a small number of patients who can escalate the dose beyond the theoretical ceiling due to opioid antagonism. There is limited information on escalating the oral dose of buprenorphine or buprenorphine/naloxone. In one study (5), 19 subject were maintained on 4 mg/day of buprenorphine alone and then were given 2 mg increments at 2 hour intervals for a total of three doses of buprenorphine alone. In this study the authors thought that abuse liability based on subjective ratings was low. All of this variability can be observed at the clinical level and it is very important that the prescribing clinicians know the individual and their response patterns very well. One of the unique aspects of the current opioid epidemic is the number of young people that it affects. Unused medicine cabinet opioids have been identified by the CDC as an important gateway drug to heroin use. Using prescription opioids increased the likelihood of heroin use 55 times. This same cohort is caught in a culture that is swinging toward increased permissiveness of substance use with broadened legalization of cannabis and excessive stimulant prescriptions for attention deficit~hyperactivity disorder and a subculture of performance enhancement in colleges and universities. One of the logical extensions of these cultural currents is to see drugs as a solution to a problem and opioids are viewed as being no different. A unique aspect of alcohol and drug taking in American culture has been that the early twenties is a time to do it and get it out of your system. A large number of young opioid addicts who continue to use and routinely go off and on buprenorphine maintenance will say that they felt like they were too young to stop using. They wanted to keep on going for a while before they stopped. Most 20 year olds have a sense of invulnerability and that also plays a role in the use of dangerous drugs and alcohol. One of the main lessons that an addiction psychiatrist learns early on is that opioid use and withdrawal is a great mimic of psychiatric conditions specifically insomnia, anxiety and depression. Practically everyone in withdrawal experiences these syndromes at one point or another. There is a natural tendency during a psychiatric interview to describe practically all of the recent history as being dominated by the withdrawal symptoms. Conversely, when the correct dose of buprenorphine is prescribed all of the insomnia, depression, and anxiety clears and it clears completely. There are no associated psychiatric problems and the patients does not need any additional pharmacological therapies. This cannot be emphasized enough because opioid users will naturally end up on benzodiazepines and z-drugs for sleep and anxiety and both are contraindicated with opioids. Even antidepressants are a potential problem due to case reports of buprenorphine based products and antidepressants causing serotonin syndrome. That is an admittedly rare syndrome, but potentially very serious if it occurs. The second issue is dose adequacy in terms of cravings about opioids. By definition cravings are an intense urge to use opioids. At the height of opioid withdrawal they occur with the withdrawal symptoms. As buprenorphine maintenance is established they may occur at times during the day when there are breakthrough withdrawal symptoms. Eventually even when the acute withdrawal symptoms are treated cravings can persist. The ideal response is that cravings to use are eliminated as well as any thoughts about using or acquiring opioids. This is possible during treatment but results vary from person to person especially as the physician attempts to establish the proper maintenance dose of buprenorphine. In my experience cravings and intense thoughts about using are poor prognostic factors due to heightened relapse potential. The subpopulation of people addicted to opioids from chronic pain treatment can generally benefit from seeing physicians with expertise in pain management with buprenorphine preparations. It may require split dosing and other adjustments. This can occur in several ways. There can be a lack of physicians who are licensed to prescribe buprenorphine. There can also be physicians available to prescribe it who are not able to maintain patients on the drug. Finally there are physicians who are overcharging for the services they provide and that leads to patient dissatisfaction and discontinuing the buprenorphine strictly on that basis. All of these problems can be addressed. They can be addressed by providing good medical care. They can also be addressed by addressing the 30 year old problem of rationing services for addiction and mental health services. Any person going in to be seen by a physician for opioid use problems needs to feel like they are understood. They have to be able to communicate with that physician about their addiction. They have to know that their physician understands addiction and is not just there to provide prescriptions. Treating opioid addiction is more than prescribing a medication. It requires a relationship with a competent physician. That competent physician needs to be technically competent to prescribe the drug and discuss all of the above issues with every patient with an opioid addiction and every one of those patients who will take buprenorphine. That is the same as the general plan for just about any complex medical problem. 1: Jones JD, Sullivan MA, Vosburg SK, Manubay JM, Mogali S, Metz V, Comer SD. Abuse potential of intranasal buprenorphine versus buprenorphine/naloxone in buprenorphine-maintained heroin users. Addict Biol. 2015 Jul;20(4):784-98. doi: 10.1111/adb.12163. PubMed PMID: 25060839. 2: Jones JD, Madera G, Comer SD. The reinforcing and subjective effects ofintravenous and intranasal buprenorphine in heroin users. Pharmacol Biochem Behav. 2014 Jul;122:299-306. doi: 10.1016/j.pbb.2014.04.012. PubMed PMID: 24793093; PubMed Central PMCID: PMC4094364. 3: Comer SD, Sullivan MA, Vosburg SK, Manubay J, Amass L, Cooper ZD, Saccone P,Kleber HD. Abuse liability of intravenous buprenorphine/naloxone and buprenorphine alone in buprenorphine-maintained intravenous heroin abusers. Addiction. 2010 Apr;105(4):709-18. doi: 10.1111/j.1360-0443.2009.02843.x. Erratum in: Addiction. 2010 Jul;105(7):1332. PubMed PMID: 20403021. 4: Comer SD, Sullivan MA, Whittington RA, Vosburg SK, Kowalczyk WJ. Abuse liability of prescription opioids compared to heroin in morphine-maintained heroin abusers. Neuropsychopharmacology. 2008 Apr;33(5):1179-91. PubMed PMID: 17581533. 5: Singhal A, Tripathi BM, Pal HR, Jena R, Jain R. Subjective effects ofadditional doses of buprenorphine in patients on buprenorphine maintenance. Addict Behav. 2007 Feb;32(2):320-31. PubMed PMID: 16814937. 6: Umbricht A, Huestis MA, Cone EJ, Preston KL. Effects of high-dose intravenous buprenorphine in experienced opioid abusers. J Clin Psychopharmacol. 2004 Oct;24(5):479-87. PubMed PMID: 15349002. Cannabis use is highly politicized in the US at this time largely due to legalization rhetoric that has spilled over into scientific research on the topic. Despite the broad movement to legalize cannabis across the US, only a minority of the population are regular cannabis users. More widespread use will undoubtedly lead to increased problems associated with wider exposure, especially wider exposure in populations with vulnerabilities to the toxic effects of cannabis. The toxic effects of interest include addiction and psychosis. It is common in clinical practice to encounter daily cannabis smokers who stopped using the substance after several years because they started to get panic attacks, paranoia, or both. The people I see have all moved on to something else, but there are also a substantial number of chronic smokers who are addicted. That number is about 9% of users, and that is comparable to the amount of people who have problems from drinking alcohol. Inpatient psychiatrists commonly see people with florid psychotic episodes from smoking significant quantities of cannabis. They also see repeat admissions from people who are either detoxified or treated for these psychotic episodes, are discharged and smoke more cannabis to the point of a repeat psychotic episode. The longstanding controversy among people who are not doing the work and just speculating is whether any good observational studies can be done to show that cannabis does cause psychosis or if this is an artifact of observational methodology. In other words, could a reverse causality bias exist that makes people who are prone to schizophrenia or psychotic episodes more likely to smoke cannabis. In my opinion, there have been excellent observational studies showing the association between cannabis use and psychosis, but as long as that is the technology these studies will always contain the old association is not causation qualifier. A recent paper (1) in Molecular Psychiatry may have just illustrated the causation that psychiatrists have been experiencing firsthand for decades. The authors use a novel genetic appraoch to look at the issue of causation. The main assumption of this study is that using specific genotypes as the independent variable rather than observed individuals gets rid of the confounding demographic and environmental variables that could be casual. They point out that any actual clinical trial looking at the issue of whether cannabis causes psychosis would be unethical, but that a model that looks at whether causation can be established by looking at single nucleotide polymorphisms (SNPs) from a Genome Wide Association Study (GWAS) looking at the any cannabis use phenotype. They looked at the top 10 SNPs from that data that were used to calculate gene-exposure (SNP-cannabis) estimates. SNP-risk of schizophrenia exposure estimates were calculated from available data from the Psychiatric Genomics Consortium. Instrumental variable estimates were made by dividing the risk of schizophrenia/risk of any cannabis use. The instrument variable analyses were pooled across SNPs and analyzed with fixed effect meta-analysis. The authors provide a detailed discussion and rationale for their statistical calculation in the full text of the article and supplementary material. At this point I am going to post their main graphics. Click on any graphic to enlarge it. The first graphic looks at prospective observational studies. The authors were interested in determining whether their genetically based analysis was in the same direction of this meta-analysis. Ever use cannabis use was associated with a 43% increase in schizophrenia or psychosis. Figure 1. Meta-analysis of prospective observational studies reporting an association between use of cannabis and risk of schizophrenia or related disorders. Meta-analysis uses a random-effects model. Studies are sorted by type of outcome (schizophrenia only vs schizophrenia and related outcomes). Odds ratios (ORs) and 95% confidence intervals (CIs) express the risk of schizophrenia or psychotic symptoms for ever use of cannabis (compared with never use). For additional information on each study, see Supplementary Table S1. Dunedin, Dunedin Multidisciplinary Health & Development Study; ECA, Epidemiologic Catchment Area; EDSP, Early Developmental Stages of Psychopathology Study; NEMESIS, Netherlands Mental Health Survey and Incidence Study; SC, Swedish Cohort. Figure 2 looks at the Mendelian Randomization analysis of 34,241 cases of schizophrenia and 45,604 cases of ever use cannabis. This shows a 37% risk of cannabis users versus non-users for schizophrenia/psychosis risk. The authors did a sensitivity analysis of this same data by removing each SNP from the analysis to calculate a summary causal effect of 1.33 across all 10 SNPs or 1.88 when restricted to 2 functional SNPs. Figure 4 is included here to illustrate the authors' sensitivity analysis showing a summary casual effect of about 1.37 (red line). All things considered this may be a compelling story for causation. I qualify that of course in a couple of domains. First. there are a lot of statistical models and calculations operating here. In my experience mapping complex statistical estimates onto the most complex object in the universe has not worked out very well. My first hand experience was statistical modeling of quantitative EEG and claims that is was predictive of psychiatric diagnosis. Those compelling calculations published in Science (4) did not pan out at all in the long run. It will be interesting to see if the authors applications are more widely applied to other SNPs to determine disease causation from other risk factors. The second potential problem is a slight variation on that theme and that is the overall imprecision of meta-analysis. The known approximate prediction/concordance rates of meta-analyses for clinical trials (2.3) suggests that it may not be good predictor of a reproducible result. The authors themselves suggest that the potential limitations of their study start with the fact that none of the chosen SNPs met conventional genome wide significance thresholds. The specific dose effect of cannabis could not be investigated in the study. The age at exposure is may be a developmental variable of interest and that was unknown. The Mendelian Randomization techniques may have not been powerful enough to detect pleiotropic (one gene affecting more than one trait) effects, but they discuss how an alternate analysis applies in this situation. The other question I had was about epigenetic effects on this model. The authors were certainly aware of smoking as a confounding variable. The known epigenetic effects of nicotine on brain chromatin would seem to cloud SNPs as pure genetic risk factors. But this is nonetheless one of the more interesting models and concepts I have seen in a while. They conclude that their study is "the closest approximation to a randomized trial on the effect of ever use of cannabis and risk of schizophrenia" when such a clinical trial is unethical. That is an interesting take on their method and causation. Hopefully it will open up the way for other studies of causation using these techniques. If that is the case, it is a good idea to study this paper and the supplementary material (26 pages) and have a good idea about its difference from observational/association studies. The supplementary material is also very useful for the calculations used in the study, a Venn diagram of the overlap between the schizophrenia-GWAS group (N=79,845) and the ever-use cannabis GWAS group (N=37,957), and their review methods of the best observational studies of cannabis use and schizophrenia/psychosis. 1: Vaucher J, Keating BJ, Lasserre AM, Gan W, Lyall DM, Ward J, Smith DJ, Pell JP, Sattar N, Paré G, Holmes MV. Cannabis use and risk of schizophrenia: a Mendelian randomization study. Mol Psychiatry. 2017 Jan 24. doi: 10.1038/mp.2016.252. [Epub ahead of print] PubMed PMID: 28115737. 2: LeLorier J, Grégoire G, Benhaddad A, Lapierre J, Derderian F. Discrepancies between meta-analyses and subsequent large randomized, controlled trials. N Engl J Med. 1997 Aug 21;337(8):536-42. PubMed PMID: 9262498. 4: John ER, Prichep LS, Fridman J, Easton P. Neurometrics: computer-assisted differential diagnosis of brain dysfunctions. Science. 1988 Jan 8;239(4836):162-9. PubMed PMID: 3336779. Attributions: All graphics except my home-made one at the top are from reference 1 per a Creative Commons Attribution 4.0 International License. The images or other third party material in this article are included in the article’s Creative Commons license, unless indicated otherwise in the credit line; if the material is not included under the Creative Commons license, users will need to obtain permission from the license holder to reproduce the material. To view a copy of this license, visit http://creativecommons.org/licenses/by/4.0/. It is interesting to speculate on what it means to have 3/10 genetic markers for schizophrenia/psychosis susceptibility if any cannabis exposure. Supplementary 2: Click on my homemade graphic to see how beautiful it is. Blogger does not do it justice. I encountered a paper this week that had me nostalgic for the old days in American psychiatry. The days when people were treated in hospitals to the point that their symptoms remitted before they were discharged. That of course depends on a couple of assumptions. The first is that their symptoms can be treated to that point. There are a number of people with a disease process that cannot be treated to that point. Neurodegenerative disorders like Alzheimer's disease or vascular dementia are good examples, but there are also a number of people who have no known brain insult and yet have treatment resistant depression or psychosis. Their symptoms do not respond or poorly respond to treatment. The second assumption is that the person with the illness recognizes why they need to be in a hospital or some form of intensive treatment and they agree to stay long enough. That is one of the more complicated assumptions because psychiatry is almost exclusively the only medical specialty where the treating physician can disagree with the patient's preference for discharge and put them on a hold pending a judge's decision to order them to stay in a hospital longer. That court decision in most states depends on three standards - danger to self, danger to others, and general ability to care for oneself. Those three standards have been condensed over the years to a single word dangerousness. Practically all inpatient treatment units in the United States are impacted by managed care companies who would generally like people discharged in about 3-5 days irrespective of their diagnosis or treatment plan. Their de facto discharge criteria is dangerousness. If you are reading this for the first time, it may sound absurd to base a medical decision on an oversimplified legal standard that is designed to not unduly impact the civil liberty of citizens. It is definitely absurd for any number of reasons. If you work in inpatient settings you can have the most carefully crafted treatment plan to restore a person to their previous level of functioning and have to tolerate a managed care case manager or physician ask you "Where is the dangerousness?" If there is no dangerousness the expectation is that the patient will be discharged and if you (as the treating physician) disagree - the insurance company via their own review can just stop paying for the hospitalization. The practical result of all of that politics is that a partially stabilized patient is discharged. That would be bad news if that person was dangerous, but what nobody talks about is that it is probably worse if they are not. First, the vast majority of people that psychiatrists treat in inpatient units are not dangerous but they are having a very difficult time functioning both in terms of symptom management and what they need to manage in life every day. If they are partially treated, it is very likely that they will not be able to follow up with a detailed treatment plan. Managed care companies and the usual critics of psychiatry frequently rationalize this process with global statements like "the outcomes are no different" or inpatient treatment especially involuntary inpatients treatment is not necessary. The problem is that there are very few studies that look at the process. After all, who has an interest in continuing to discharge partially stabilized patients? It is certainly not psychiatrists, patients or their families. The study I encountered was in the Journal of Clinical Psychiatry this month (1). The investigators are from the Netherlands. They looked at 78 cases of postpartum psychosis admitted to the Mother-Baby Inpatient Unit (MBU) at the Erasmus Medical Center between August 2005 and June 2011. The MBU is a specialized unit to treat cases of severe psychopathology during the postpartum period. Patients with an onset of psychosis or mania within 6 weeks of the delivery were included. They included the typical DSM functional psychosis categories and mood disorders with psychotic features. Substance induced psychosis was excluded. Of the final group 64 patients had only postpartum psychosis and 14 had either a prior episode of psychosis or mania/hypomania. The authors had previously developed a standardized approach to treating postpartum psychosis that involved using typical medications indicated for acute inpatient stabilization. The goal was remission of their symptoms for one week prior to discharge with standard recommendations for pharmacotherapy to maintain symptomatic remission. They were followed for 9 months and by that time 16 patients had discontinued medication with the remainder taking lithium (n=40) or antipsychotic monotherapy (n=8). The main outcome measure used was the Longitudinal Interval Follow-up Evaluation-Range of Impaired Functioning Tool (LIFE-RIFT). That research instrument looked at a number of domains including work, interpersonal relationships, global satisfaction, and recreation. All of these areas have been shown to be adversely impacted in other studies of the problem of postpartum psychosis. As an example the authors quote a study that noted a divorce rate of 18% in a similar cohort of patients. In a previous post on this blog, I made the observation that many women seen in inpatient practice who have a chronic psychotic disorders can be traced back to an initial episode of postpartum psychosis. The authors here note that although they may have had a sample with low premorbid complications their outcomes were generally very good compared to previous retrospective studies and a matched sample of postpartum women. As an example, 88.5% of the women had resumed full work and household responsibilities. In comparison to a general postpartum population, the experimental group showed slightly more anxiety and depressive symptoms due to the the portion of the sample that relapsed. In comparison to a group of patients with first episode bipolar disorder occurring outside of the postpartum period the comparison favored the experimental group. Despite the usual limitations of these studies like sampling bias and missing data, the authors conclude that there is plenty of optimism in the treatment of postpartum psychosis using their methodology. In what I consider to be an understatement of the past three decades in American psychiatry the authors write about how a specialized unit may have biased their results: "Unfortunately, many regions of the world do not have MBU care within a reasonable travel distance for the patient." To my knowledge there are no MBUs at all in the United States. They are inconsistent with the prevailing managed care rationing model for psychiatric care in this country. This is a very important article for a number of reasons. It highlights the importance of specialized care for women with postpartum psychosis through reduced chronicity and better functional outcomes. The psychopharmacology result with lithium or antipsychotic monotherapy and discontinuing all benzodiazepines prior to discharge is far superior to any result that could be expected in the US. Short stays result in polypharmacy. I would be shocked to see any case of postpartum psychosis not discharged on antidepressants, antipsychotics, benzodiazepines, sleep medications and possibly valproate from American inpatient units. These medications are difficult to manage and the follow up appointments are typically brief and focused primarily on symptoms and medications. In the trade off between short lengths of stay and unmanageable polypharmacy - it seems like this research group has developed a quality approach. It is time for American psychiatrists to acknowledge that the way inpatient units are run by businesses is not working because they never adequately stabilize patients. That leads to a large population of people who are unnecessarily symptomatic and never recover their baseline level of functioning. That same population may be taking a lot of medication that they don't really need. I confirmed that there are no MBUs in the USA and that the median length of stay on the unit described in this study was 55 days. 1: Burgerhout KM, Kamperman AM, Roza SJ, Lambregtse-Van den Berg MP, Koorengevel KM, Hoogendijk WJ, Kushner SA, Bergink V. Functional Recovery After Postpartum Psychosis: A Prospective Longitudinal Study. J Clin Psychiatry. 2017 Jan;78(1):122-128. doi: 10.4088/JCP.15m10204. PubMed PMID: 27631144. 2: Bergink V, Burgerhout KM, Koorengevel KM, Kamperman AM, Hoogendijk WJ, Lambregtse-van den Berg MP, Kushner SA. Treatment of psychosis and mania in the postpartum period. Am J Psychiatry. 2015 Feb 1;172(2):115-23. doi: 10.1176/appi.ajp.2014.13121652. PubMed PMID: 25640930. 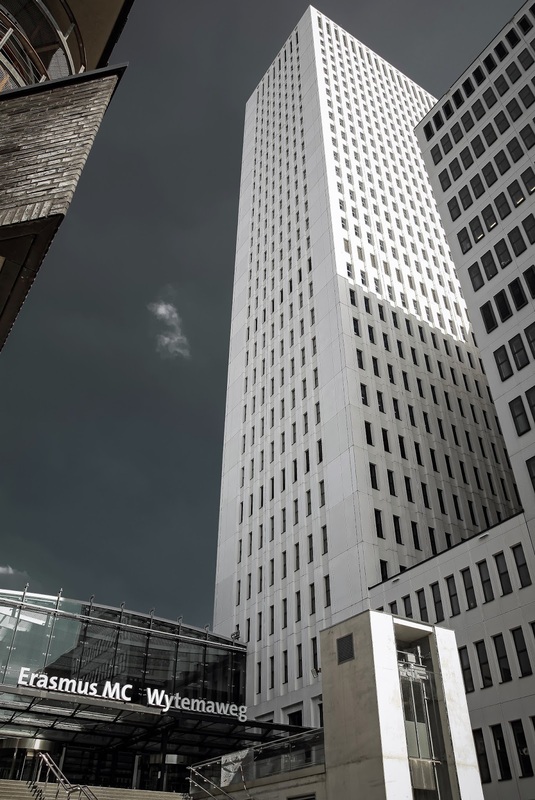 Photo at the top is Erasmus Medical Centre - the affiliation of the lead author in this article and location of the study. It was downloaded from Shutterstock on February 8, 2017 per their agreement specifying editorial and noncommercial use. Editorial credit: Jaroslav Moravcik / Shutterstock, Inc.
Over the course of my career, the question of whether or not women should take antidepressants while pregnant has been a recurring question. The point-counterpoint seems to depend on whether you are a psychiatrist treating women with severe forms of depression or not. A lot of these studies seem to be driven by the fact that there is a registry somewhere for pregnant women who have had exposure to various medications. Studies like this make headlines and are simplistically interpreted. That is a much different perspective than a psychiatrist who is talking with a woman who has had severe postpartum depression and does not want to experience that again. There is also the case of acute care psychiatrists who have assessed many women who had a significant change in their mood and mental state during or after a pregnancy and never recovered from that. They became chronically mentally ill at that point and sustained all of the expected comorbidity. The first few times I encountered that situation it was difficult to accept. Nobody teaches that in medical school or residency training. It seemed like a well kept secret. Since then I have seen many women who developed a chronic mental illness that started as a severe mood change in or immediately after pregnancy. The most recent question arose as a result of the study in reference 1, an analysis of the Quebec Pregnancy Cohort. These same authors have an additional 9 references in Medline. Full text is available for the current study. The conclusion of these authors is that SSRI, SNRI, and TCA type antidepressants are associated with a significant increase in congential malformations - specifically as cardiac, musculoskeletal, craniofacial, digestive and respiratory defects. The authors have a detailed flow diagram that details patient selection from the original cohort of 289,688 pregnancies between 1998-2009. The flow diagram is a good illustration of how the original cohort was narrowed down to 18,487 pregnancies with either first trimester exposure to antidepressants (3,640) or no exposure (14, 847). Subgroups for the antidepressant exposure include SSRIs (2,327), SNRIs (738), TCAs (382), and other (193). The numbers and percentages of major malformations for each group were no exposure 1650/14,847 (11.1%), SSRI 279/2327 (12%), SNRI 91/738 (12.3%), and TCA 51/382 (13.4%). Over the ten year course of the study the prevalence of antidepressant use doubled from 21 to 43 women per 1,000 pregnancies. Doing some quick arithmetic on those numbers we find that 11.6% (421/3,640) of the antidepressant exposed pregnancies resulted in major congenital malformations. Using the baseline rate of the unexposed pregnancies to calculate the expected number of major malformations results in 404/3,640 or a difference or 17 major malformations in the exposed group of 3,640 pregnancies. What did the authors consider to be major malformations? They used definitions of major congenital malformations according to conventions in two databases and they provided ICD-9 and ICD-10 diagnostic codes. There were very few named diagnoses as far as I could tell. There is some concern here because the literature on congenital malformations varies a bit in terms of the rate of birth defects and whether they are considered to be major or not. Some of this was expressed in a NEJM editorial by Greene in 2007(2). In commenting on two papers (3,4) on the subject of major congenital malformations associated with SSRIs in that edition he notes that "A survey of the aggregate data now available — positive, negative, and equivocal — makes it clear that neither SSRIs as a group nor individual SSRIs are major teratogens on the order of thalidomide or isotretinoin." He goes on to elaborate that there is a low risk with SSRIs but it is not zero and it is not clear cut. That opinion is in contrast to some written since suggesting that the risk is high enough that no women should be exposed to SSRIs. One of the strengths of this study is that they used depressed and anxious mothers as the reference group to attempt to remove any confounders due to those conditions. A variety of diagnostic codes were determined including 33 ICD9/10 codes for episodic mood disorders, 17 ICD9/10 codes for neurotic disorders, 19 ICD9/10 codes for depressed, anxious, and other cognitive disorders, 3 ICD9/10 codes for adjustment disorders, and 2 ICD9/10 codes for depression not otherwise specified. Data on indications for antidepressant use were not available but the authors sought to limit indication bias by comparing only women selected for diagnoses of depression. Women were selected with diagnoses of anxiety or depression who were treated with antidepressants one year before their pregnancy and several exclusion criteria such as exposure to more than one antidepressant or multiple births were applied. Total psychiatric visits were viewed as a proxy measure for severity rather than confirmation of the diagnosis. The primary statistic used in this paper was the Odds Ratio (OR) or Adjusted Odds Ratio (aOR). I have been skeptical of some applications of OR in the past. There are also theoretical concerns as discussed in reference 2 below. The authors present an excellent argument that the OR is widely used in epidemiological studies because it characterizes population variations in risk. The weakness is that it has low accuracy as a classifying marker and it tends to overestimate relative risk when sample size is low. A number of papers also point out that when large numbers of comparisons are done like calculating the OR and aOR for a large number of antidepressants it is likely that some of the findings will be explained by chance. In this case they do the calculations by antidepressant, overall major congenital malformations and by individual body systems. They conclude that only exposure to citalopram [(aOR) 1.36, 95% CI 1.08 to 1.73] in the first trimester increases the risk of major malformations but that there was a trend with other antidepressants (ADs) and that some ADs seemed to result in more system specific malformations. Another methodological problem that can occur and affect comparisons is when the control group has an unexpectedly large number of malformations and this has happened in some of the research studies. 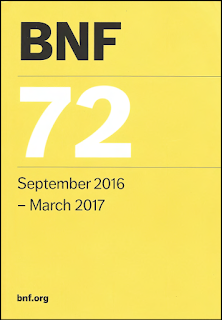 A much larger study of the problem was provided by the NICE consortium in the UK and their 923 page document on the subject (17). The supplement of Forest plots alone for this document is an additional 313 pages long. The authors of this document carefully selected studies of prenatal exposure to psychiatric medications and compiled fairly large studies. They also showed the actual numbers of lesions in the exposed and unexposed groups by rates and the absolute differences in addition to the OR. The NICE methodology was exhaustive and included very large number of patients across 6 major drug classes - antidepressants, antipsychotics, anticonvulsants, lithium, benzodiazepines, and stimulants. The antidepressants studies listed sample sizes ranging from 50,257 to 2,548,463. According to the authors there was no statistically increased risk in major congenital malformations with SSRIs even though the absolute risk difference was 12 more per 1,000. There were some possible system specific risks with paroxetine and fluoxetine with a range of absolute risk difference of 3-9 more per 1,000. In their guideline they translated this to a series of prescribing principles that could be applied to prescribing antidepressants in pregnancy (p 813). These principles amount to a detailed informed consent discussion about potential risk during pregnancy and breastfeeding. The document also contains the observation that up to 90% of women stop taking medication when they find out they are pregnant. That often happens without consultation. Attending meetings where psychiatrists are the presenters and focused on maternal health provides a much different perspective than pregnancy databases focused on congenital malformations. 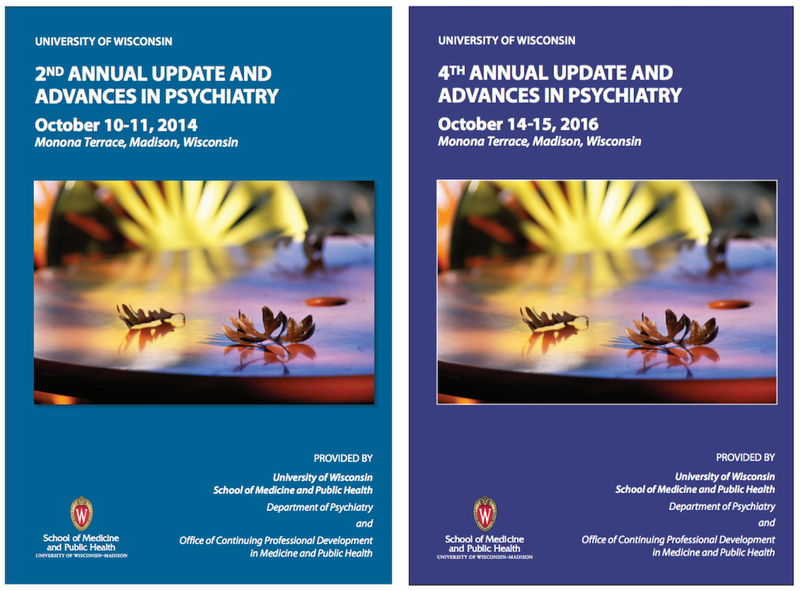 In the past couple of years I was to attend three conferences, two of which occurred at the University of Wisconsin Annual Updates. In all three of those conferences the maternal burden of anxiety and depression is the context and is generally presented first. Katherine Wisner (11) presented in Madison last year. Here arguments were based on the fact that psychiatric disorders are the most common chronic conditions of women of childbearing age and that the rate of treatment is very low: 25.5% of non-pregnant women and 14.3% of women who were pregnant in the past year. She pointed out that medication free and disease free pregnancies are a myth. Pregnant women get sick and sick women get pregnant. About 14.5% of pregnant women have a new episode of depression and about 14.5% of women have an episode of postpartum depression. Dr. Wisner is one of several authors who referenced Cohen's work (6) on the recurrence risk of depression in women who discontinued antidepressants around the time of conception versus those who did not (68% versus 26%). Click to enlarge this graphic. The presentation by Zachary Stowe (10) used the Cohen survival curve to illustrate recurrent depression with antidepressant discontinuation in pregnancy. He also showed survival curves of treated versus untreated bipolar disorder by Viguera (16) showing that 90% of untreated pregnant bipolar patient relapse during the pregnancy out ot 12 weeks post partum compared to 40% of treated bipolar patients. He also had two excellent slides on the acute maternal and neonatal consequences of a relapse to a mood disorder documenting numerous neonatal complications maternal complications including suicide. Michelle Wiersgalla (12) expanded the postpartum disorders to include anxiety and psychosis. She pointed out that suicide accounts for 20% of the post partum deaths and that suicide was the second leading cause of death in post partum women. Some sources have classified it as the leading cause of maternal death (13, 14). Infanticide occurs at the rate of about 8/100,000 and is associated with post partum psychosis. All of those presenters would seem to have made a strong case for treating mood and anxiety disorders in pregnancy. And of course the sterile research statistics are nothing like stress of clinical practice when a patient suddenly is destabilized and becomes unpredictable to both their family and the treating physician. There is also the stress of an unplanned pregnancy in a woman who is being treated for a psychiatric disorder and that speaks to one of Dr. Stowe's main point and that is to treat all women of childbearing age in your practice as being potentially pregnant and documenting method of contraception and advice adn planning on pregnancy given the medication that they are taking. It seems to me that the recurring problem of antidepressant safety during pregnancy is driven by a large body of research with widely discrepant low frequency findings. We are generally talking about rates that are in the single to low double digits out of a thousand. I think the conclusions of that research are probably affected by who is doing it. You can find people who are interested in "proving" that antidepressants are harmful on the one hand. They are likely to write from that perspective and minimize or completely ignore the severity of the associated women's mental health problems and the fact that they can be clearly treated with antidepressants. They also never mention the potentially severe outcomes associated with untreated postpartum depression that can be observed in acute care settings. On the other hand, there is research written from the perspective of treating women's mental health problems that (unexpectedly) will show less harm. Clinicians - especially psychiatrists on the front lines who are often left advising women with unexpected pregnancies on what to do about their antidepressant treatment are stuck in the middle. A reasonable informed consent discussion with women of childbearing age begins by treating all women in this category as though they are potentially pregnancy or will be at some time. That includes a history of pregnancy and any associated changes in mood or anxiety. It also includes a discussion of going from a no risk state for the fetus of not being pregnant while taking medications to pregnancy while taking medication. That includes plans for pregnancy and documenting the method of birth control. With some high risk drugs - screening for pregnancy can be done. If there is any concern about absolute minimization of risk pregnancy screening can be done and repeated if necessary. In the case of planned pregnancies a window of 6-12 months prior to conception allows for a scheduled taper and discontinuation of the antidepressant medication. The psychiatric evaluation can be valuable to determine the risk of relapse in these situations. There are many patients who started taking antidepressants in acute situations where the stressor no longer applies. There are many patients taking antidepressants for anxiety disorders who have never received psychotherapies for anxiety. After these practical measures have been exhausted the decision comes down to whether or not there is an unplanned pregnancy and exposure or a situation where the discontinuation of the antidepressants would potentially be problematic. In the cases I have been involved in, the women were also seeing high risk obstetric specialists and their pregnancies were closely monitored. As far as the actual drugs go, I do not think that paroxetine should be prescribed. I am not basing that on anything in the pregnancy or congenital malformation literature. I am basing it on my experience in psychiatry and the fact that in the first few years of its release - I determined it was a problematic drug in terms of drug interactions and discontinuation symptoms. Why prescribe a problematic drug when there are plenty of other equivalent drugs? I do not understand why anyone prescribes paroxetine these days. That said, you can look at all of the data from the analyses of pregnancy registries and the difference in complication rates between drugs is so narrow and so small that the difference in changing to another drug with a lower odds ratio for congenital malformations probably makes little sense. That does not mean that nobody will want to change and patient preference in this case requires a thorough and neutral discussion. 2: Greene MF. Teratogenicity of SSRIs--serious concern or much ado about little? N Engl J Med. 2007 Jun 28;356(26):2732-3. PubMed PMID: 17596609. 5: Andrade C. Understanding relative risk, odds ratio, and related terms: as simple as it can get. J Clin Psychiatry. 2015 Jul;76(7):e857-61. doi: 10.4088/JCP.15f10150. PubMed PMID: 26231012. 7: Davies HT, Crombie IK, Tavakoli M. When can odds ratios mislead? BMJ. 1998 Mar 28;316(7136):989-91. Review. PubMed PMID: 9550961. 8: Deeks J. When can odds ratios mislead? Odds ratios should be used only in case-control studies and logistic regression analyses. BMJ. 1998 Oct 24;317(7166):1155-6; author reply 1156-7. PubMed PMID: 9784470. 9: Bracken MB, Sinclair JC. When can odds ratios mislead? Avoidable systematic error in estimating treatment effects must not be tolerated. BMJ. 1998 Oct 24;317(7166):1156; author reply 1156-7. PubMed PMID: 9841055. 12: Michelle Wiersgalla, MD. Postpartum Mood and Anxiety Disorders. Presented at the Minnesota Psychiatric Society. October 1, 2016. 13: Oates M. Suicide: the leading cause of maternal death. Br J Psychiatry. 2003 Oct;183:279-81. PubMed PMID: 14519602. 14: Knight M, Nair M, Tuffnell D, Kenyon S, Shakespeare J, Brocklehurst P, Kurinczuk JJ (Eds.) on behalf of MBRRACE-UK. Saving Lives, Improving Mothers’ Care - Surveillance of maternal deaths in the UK 2012-14 and lessons learned to inform maternity care from the UK and Ireland Confidential Enquiries into Maternal Deaths and Morbidity 2009-14. Oxford: National Perinatal Epidemiology Unit, University of Oxford 2016. "Maternal suicides have now been reclassified by the World Health Organisation as a direct cause of maternal death. The rate of maternal death by suicide remains unchanged since 2003 and maternal suicides are now the leading cause of direct maternal deaths occurring within a year after the end of pregnancy" p. 11. 15: Cohen LS, Altshuler LL, Harlow BL, Nonacs R, Newport DJ, Viguera AC, Suri R,Burt VK, Hendrick V, Reminick AM, Loughead A, Vitonis AF, Stowe ZN. Relapse of major depression during pregnancy in women who maintain or discontinue antidepressant treatment. JAMA. 2006 Feb 1;295(5):499-507. Erratum in: JAMA. 2006 Jul 12;296(2):170. PubMed PMID: 16449615. 16: Viguera AC, Whitfield T, Baldessarini RJ, Newport DJ, Stowe Z, Reminick A,Zurick A, Cohen LS. Risk of recurrence in women with bipolar disorder during pregnancy: prospective study of mood stabilizer discontinuation. Am J Psychiatry. 2007 Dec;164(12):1817-24; quiz 1923. PubMed PMID: 18056236. 17. National Collaborating Centre for Mental Health. Antenatal and Postnatal Mental Health Clinical Management and Service Guidance (Updated Edition 2014). National Clinical Guideline Number 192. Specific guidelines on treating depression in pregnancy for psychiatrists starts on about page 848 and continues. A full gamut of treatment interventions in the context of clinical history and evaluation, patient preferences, and informed consent is presented. The figure in the above post if from reference 15 - the figure is entitled: "Figure. Kaplan-Meier Curves Illustrating the Time to Relapse by the 4 Medication Categories and Medication Reintroduction Categories" with permission from the American Medical Association, order number 4043410033700. Thank you AMA. I tried to get permission to post survival curves from references 16. The APA (of which I am a 32 year member) wanted to charge me $150 to repost a single 10 year old graphic that I have seen used in presentations. The graphics at the top are the actual fliers for the two conferences mentioned. Other than two years of residency training, I have no affiliation with the University or Wisconsin Department of Psychiatry.